Post about it where you love to bookchat and then leave your link to that post in a comment below – here or on Marcie’s site. Either on this page or, as the month unfolds, on one of the event posts yet-to-come. We will curate the content and share at the end of the event. November 22: Quotations – “A word after a word after a word is power.” etc. etc. November 29: Endings – What’s next: another book? A TV adaptation? A speech? We’ve got some ideas (of course we do – that’s what started all this in the first place, too many ideas about reading and rereading) but we’re waiting to see how interested you are, and what you’re most interested in reading before we announce what specifically we’ll be reading and discussing for #MARM. PS. If you would like to use a badge to join in the celebration, here are three sizes. Yay! That’s one of my favourites! Ooo… Marcie and I were just talking about how we’d like to reread that one. (But, then again, we might have mentioned rereading a few others as well!) I think I read The Edible Woman in my early 20s, which would be about 20 years ago now. I hope so, Jacqui. I think it’ll be fun! I’m in…for at least one of her books (of which I’ve read most). Good idea! I’ve a couple of unread Atwoods in the TBR so I will definitely be joining in! I’ll follow along in the comments, as, at the moment, I have no idea whether I’ll be able to join in by reading something of hers. What a fun month November is going to be. Oh, no! 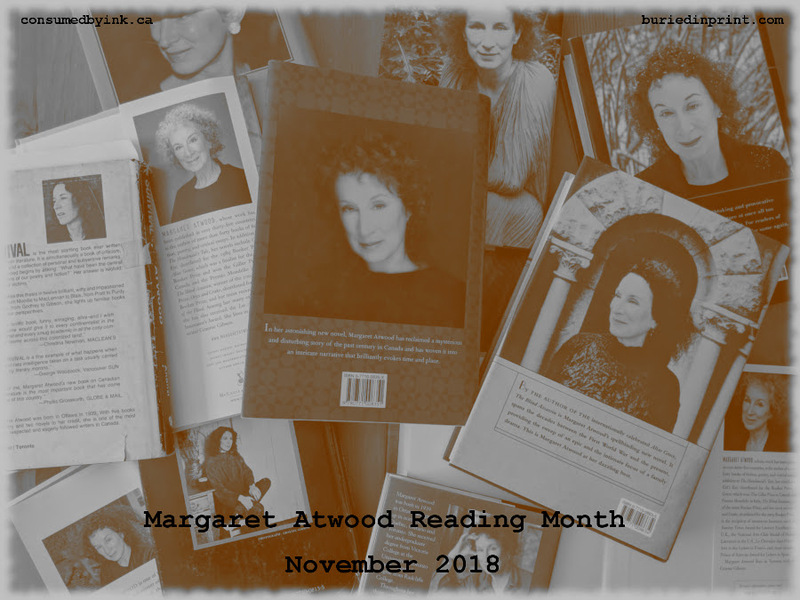 I just announced yesterday day that I’m reading Atwood in October! Oh, well. I’ll have something to add. I’ll have read four of her books by that point: Cat’s Eye and the MaddAddam trilogy. 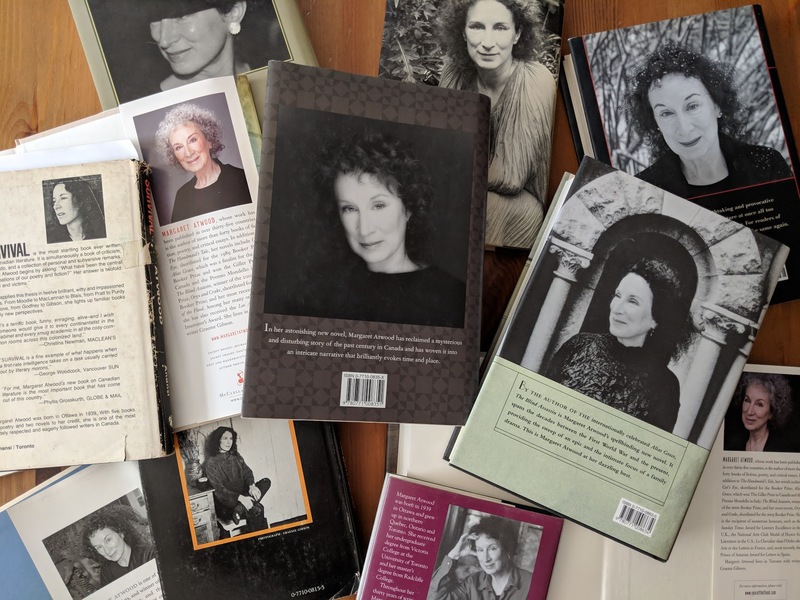 I met Atwood once, she was so kind to me even though I was super nervous (I was organizing her event in Calgary) and I rudely hung around her greenroom so she would talk to me. She started commenting on how the decor of the room was very ‘art deco’ and explained that style to me. LOL I cringe with embarrassment when I think about it, but I’m still to honoured to have spent that time with her. Oh how exciting! I still have Maddadam to read so I’ll line that up! Brilliant. Well, okay. I have read quite a bit of Atwood, but I’m sure I can find something I haven’t read yet. I bet you can! Have you come up with anything yet? I’ve never read Cat’s Eye, which I now plan to read in November. Thanks for the post! That’s great to hear! Looking forward to hearing your thoughts on it! I’m jampacked in November but I’ll see if I can find a short story or two – will that be enough to let me have cake?? It’s so exciting to see what people are planning to read; I feel like I change my plan with every comment because each one sounds just perfect! What a fun idea! 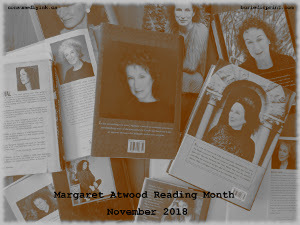 I’d definitely like to read more Atwood, but I think my November is probably going to be too consumed with nonfiction to do it this month. I’ll be excited to hear more about her from you and everyone else joining in though! 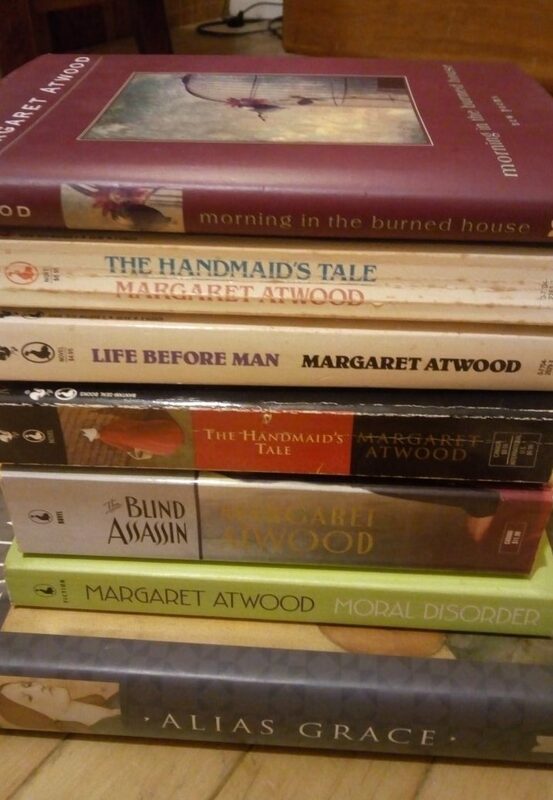 I love Atwood – but I feel like I’m hoarding them and only reading one new one every few years so I can continue to ration them! I know what you mean. I’m happy that I can’t remember the ones I read 20 years ago! I have read only Alias Grace and the Handmaid’s tale of Atwoods. I would love to jump on the theme for the month. That would be great! Any ideas yet about what you’d like to read?